continuing to decline, now at 35.5%, a drop of 2.1% since September. 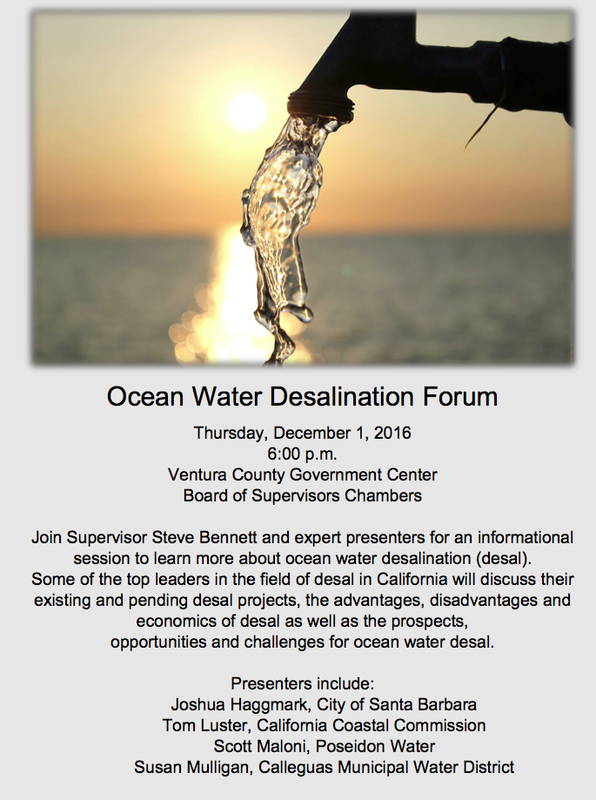 The Ventura River Watershed has remained independent of imported water, but the threat of megadrought has re-opened the discussion. On Thursday, September 22, 2016 the Casitas Water District sponsored a Regional Drought Summit, (the Presentations are available here, or on YouTube here) The well attended event was held at the Oak View Resource Center and included a panel of speakers with representatives from City of Ventura, Golden State, Ventura River, Meiners Oaks, and Senior Canyon Municipal Water District. Ventura River Watershed coordinator Zoe Carlson provided a short overview on the drought's effect on the watershed. 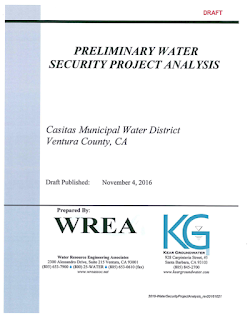 On November 9th, the Casitas water board received a presentation on a Water Security Project Analysis. The report and the associated PowerPoint presentation are now available here. 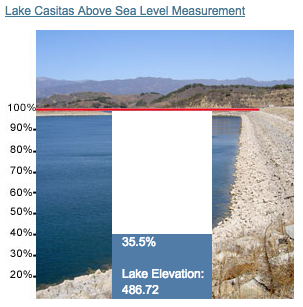 Casitas has been looking at ways to mitigate the effects of the drought on our water supply. The report analyses the technical and financial feasibility of ‘new’ water supply projects. 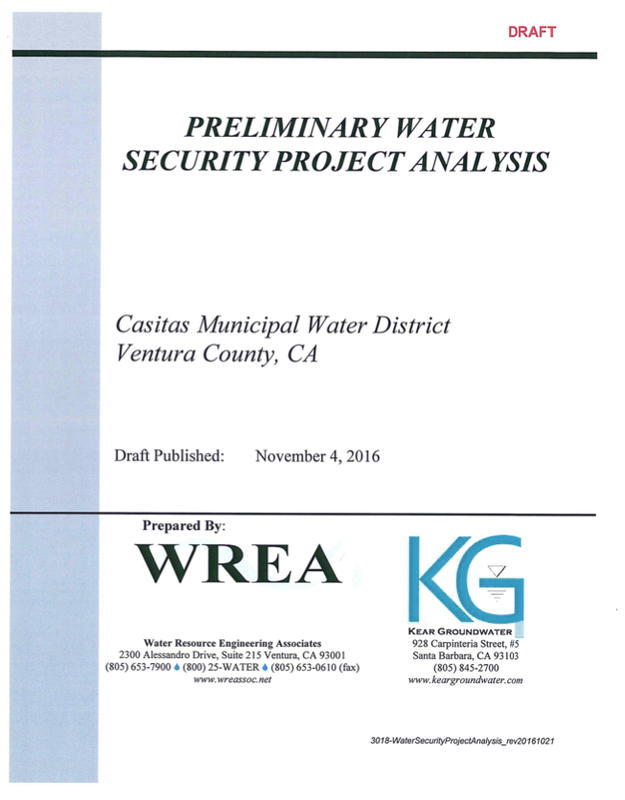 The reports are preliminary, but are a great way to give the public a glimpse of the research Casitas is involved in to secure your water. This report concludes that the best bet may be a horizontal bore into water-bearing bedrock in the mountains above the lake. The so-called "Matilija HoBos" would tap into the Matilija sandstone geologic formation potentially accessing over 29,000 acre feet of water. In the meantime, the City of Ventura is also investigating their options. 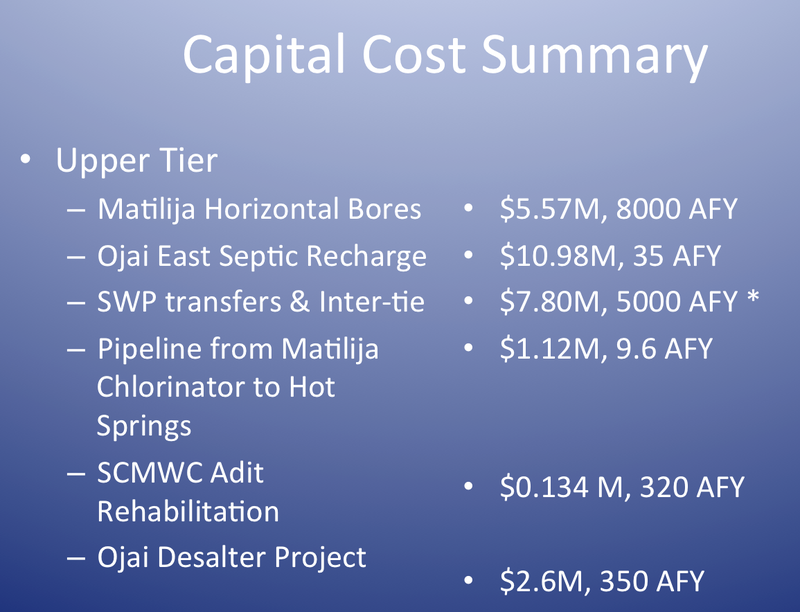 A hookup to the State Water Project would be possible in cooperation with other water agencies, including Casitas. 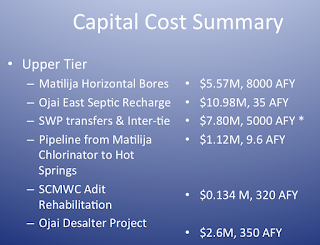 And at the recent Santa Clara Estuary meeting they announced that the City will be initiating CEQA environmental review for recycling wastewater through Direct Potable Reuse based upon their successful demonstration project. If all this sounds familiar, it is. The debate on state water vs ocean desalination ended when the last drought came to an end in 1994.